President Steven Gould is pleased to announce, on behalf of the Science Fiction and Fantasy Writers of America, that John Klima has been hired as the new editor of the organization’s flagship magazine, The Bulletin. In 2007 Klima edited an anthology of science fiction and fantasy stories based on spelling-bee winning words called Logorrhea: Good Words Make Good Stories. In 2011, Klima edited a reprint anthology of fairytale retellings titled Happily Ever After. He co-edited Glitter & Mayhem with Lynne M. Thomas and Michael Damian Thomas — a 2013 Kickstarter-funded anthology of speculative nightclub stories. He and his family live in the Midwest. John Klima’s editorial direction will begin with the upcoming Spring Nebula issue. 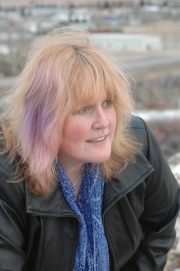 SFWA would also like to take this opportunity, again, to thank Jean Rabe for her hard work in editing The Bulletin for the last several years. 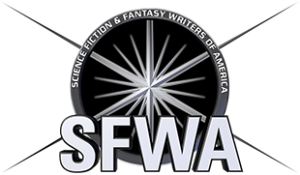 Writers interested in submitting to the Bulletin should send a short pitch on their proposed topic, along with a bio of relevant experience, to bulletin@sfwa.org. Non-members and associated professionals are welcome to submit as well. Questions, suggestions, and comments on the Bulletin may be directed to SFWA Bulletin Editor John Klima at bulletin@sfwa.org, or Steven Gould at president@sfwa.org.